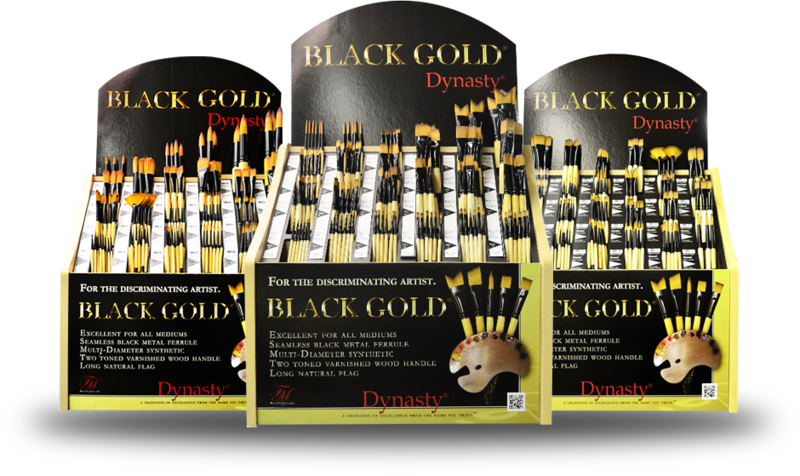 The Black Gold by Dynasty artist brushes represent our flagship premium quality brushes that will satisfy the unique needs of decorative painters and fine artist alike. Dynasty premium quality artist paint brushes are designed to satisfy consumer demand for a higher level of performance. These brushes possess the features and capabilities discriminating fine artists demand. Explore all the new Dynasty artist, craft and hobby brushes to meet your acrylic, oil & watercolor painting needs. Choose from over a dozen new brush canisters (long & short handles), our new Composition Assortment Series for educational markets, Micronbrushes for your most detailed artwork, new Dynasty Brush Series artist brush sets for oil/acrylic & watercolor applications, the versatile double-sided Duet artist brushes and the Palmer brushes used for simple faux finishing techniques, base coating and textures. Interlock Bronze Black Steel Urban FX All list..
SC2157R Series Black Silver (SH) SC361 Series All list..
Product## Product## Product## All list..
Blue Ice Eye of The Tiger Canisters Fine Art Assortments LH All list..